James Douglas-Hamilton has brought up to date his classic work in a new paperback edition. 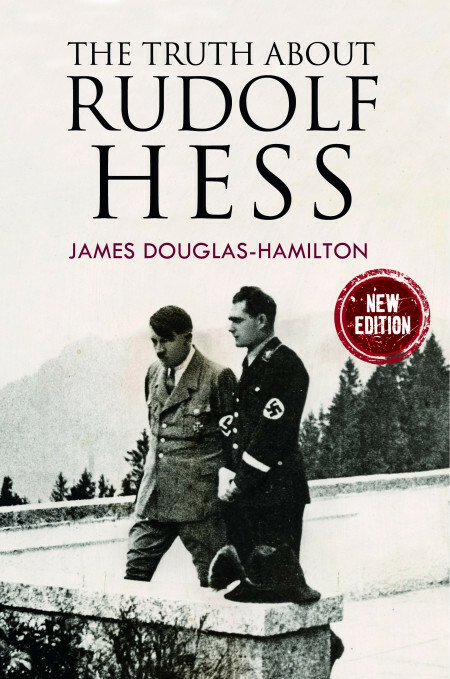 James Douglas-Hamilton has brought up to date his classic work The Truth About Rudolf Hess in a new paperback edition. In it he analyses the recent substantial release of Foreign Office documents concerning Hess and looks at how Germany came to terms with its wartime past. Despite a clutch of conspiracy theories put forward over the years about one of the most bizarre events of World War II, the author remains convinced that the evidence shows that Hess was not a victim but a perpetrator. The Deputy Führer’s astonishing and unauthorised solo flight was simply a personal but deluded attempt to broker a peace deal so that his leader Hitler would not have to flight on two fronts, with his planned attack on Russia. The author’s research shines a spotlight on the important part played in the Hess saga by his consultant Albrecht Haushofer. An academic and an Anglophile, his desperate decision to stay in the Third Reich and then to throw in his lot with those planning Hitler’s downfall, led Haushofer to a terrible fate. COMING SOON! A Guide to Collecting German Militaria is the new bookazine from the publisher of The Armourer and it goes on sale on 30 November. This 132 page, perfect bound magazine is your guide to collecting Imperial and Third Reich militaria, from medals and cuff titles, to uniforms, weapons, personal gear and civic awards. We cover rare awards, how to spot fakes and include current prices. You can pre-order it now and get it delivered before it hits the shops. Click German Militaria to get your copy.